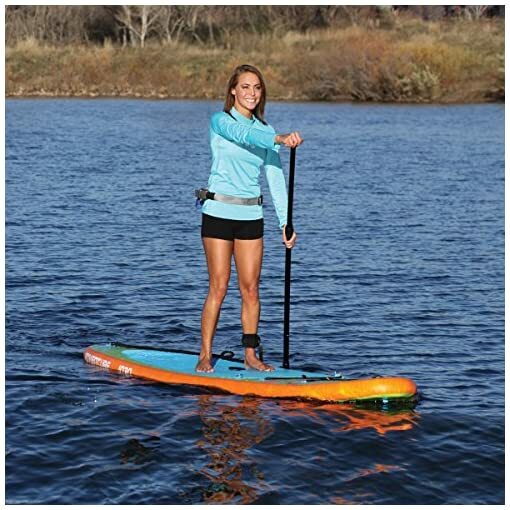 SPORTSSTUFF adventure paddleboard provides exceptional performance, convenience, durability and value. 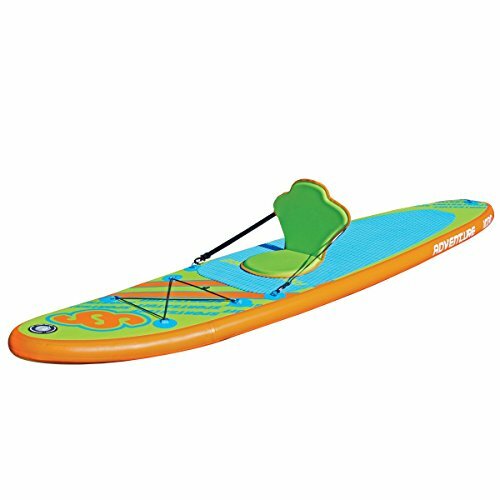 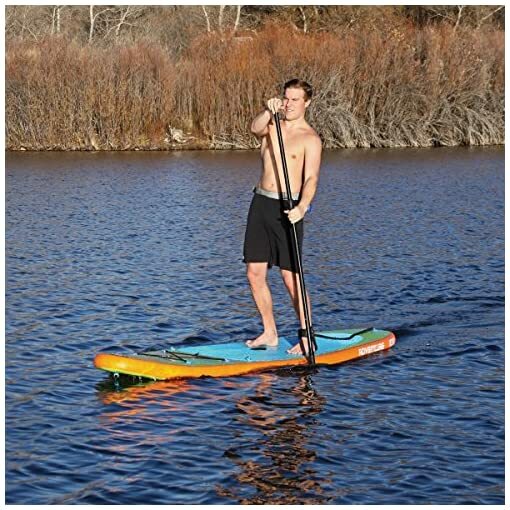 The adventure is a 10’6″ long, 30″ wide and 4″ thick SUP that is a great all-around paddleboard. 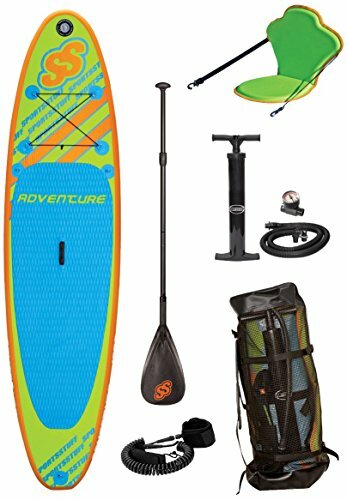 It comes with an adjustable paddle, mesh backpack, removable seat, hi-pressure hand pump, pressure gauge and board leash. 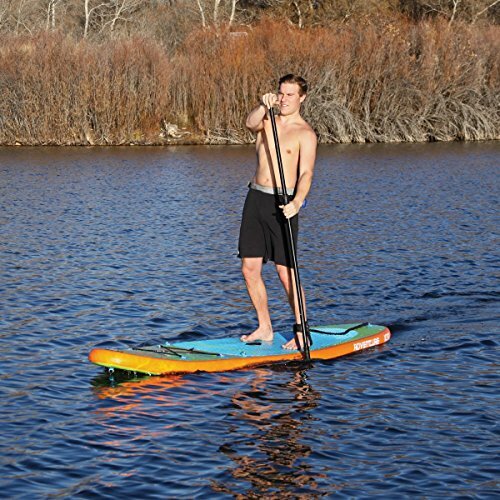 Board weighs just 27 lbs, but will carry a paddler and gear weighing up to 250 lbs.